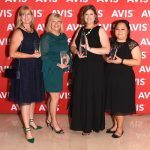 Avis Budget Group has announced the 2018 winner of its renowned Avis Travel Agent Scholarship program. 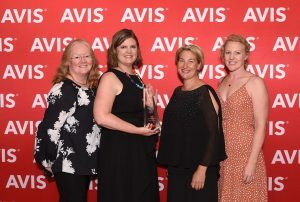 Jo Patton from Travel Managers in NSW’s Ulladulla has been recognised by the judging panel for consistently maintaining the highest level of excellence in her customer service and continuing to apply innovation in her work. Jo specifically impressed judges with her success in combining her passions of travel and craft to create Crafty Adventures, a service specialising in cruises and tours with a craft focus. Jo was officially awarded the Avis Scholarship award at the Gala Dinner last night at the Park Hyatt. International travel to Singapore to attend the 2019 WIT Conference. Professional guidance and access to exceptional education and training opportunities with organisations such as the Cruise Lines International Association Australia (CLIAA). 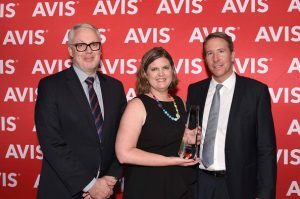 Launched in 1996, the Avis Travel Agent Scholarship is an award set to encourage, recognise and reward outstanding customer service. 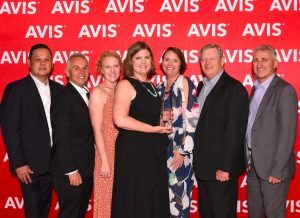 Now in its 22nd year, the Scholarship has evolved into one of the most valuable and prestigious awards offered to Australian and New Zealand travel professionals.